MPD-Psycho Wallpaper: MPD-Psycho | Death Is a Door That Opens. 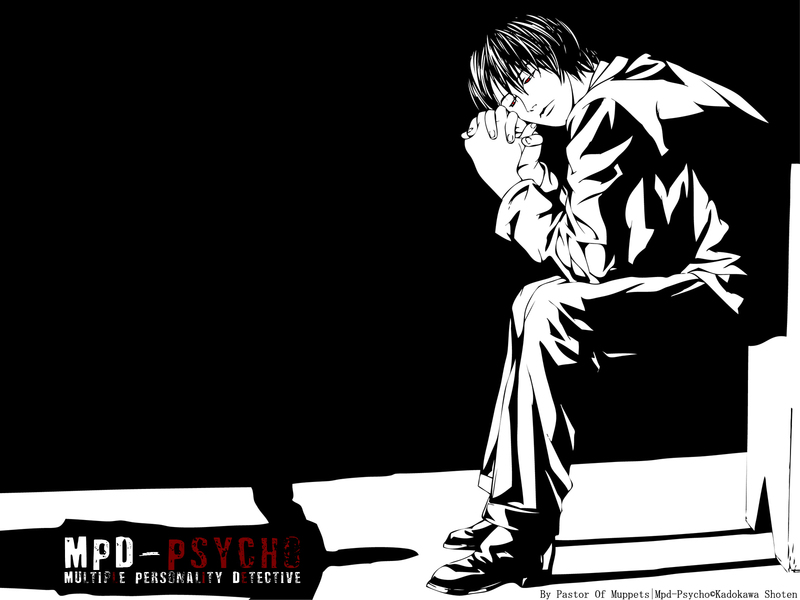 Minitokyo »	MPD-Psycho Wallpapers » MPD-Psycho Wallpaper: MPD-Psycho | Death Is a Door That Opens. and everyone gets back to track. To tell you the truth I didnt believe that this project was going to be a wall,I was just experimenting with my new Photoshop CS3! Till now I was using version CS ,and the new GUI was kinda weird,but in the end its much better! Havent read it yet,but I intend to,MPD-Psycho seems so promising. Afterall most of you know me as a "dark" waller,colors arent my thing,so a simple,but yet so stylish wallpaper. Comments and favs are always nice! Browse MPD-Psycho Gallery: Recent | Popular. Everytime I stumble on one of your walls, be it here or on AP I always feel uneasy. I mean I really like your work and the walls are always stylish, but they somehow always make me kinda nervous... somehow they seem really dark (not meaning the color, but the atmosphere lol). Life is a Door that Closes. Somehow it feels so peaceful..